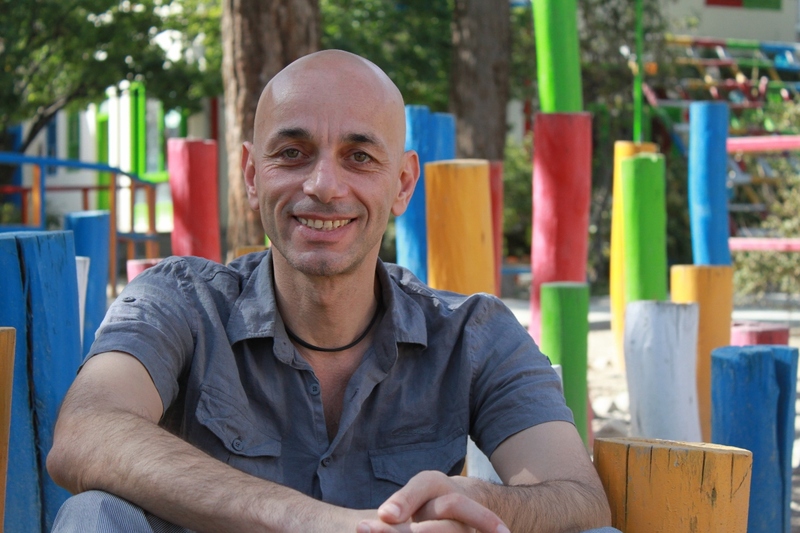 David, the founder and co-director of MMCC, or the Mobile Mini Circus for Children, shares a little about his story and the journey of running a mobile, social circus in the middle of a war zone. What is Social Circus& what is MMCC? Social Circus is a new creative pedagogy, utilizing physical arts to develop children personally and socially and support them to develop themselves. It is a very effective, joyful, and low cost pedagogy reaching a very large number of children. Social Circus is a tool for teaching social skills, overcoming traumas and developing essential capacities and the ability to take responsibility. 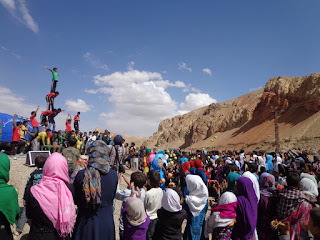 MMCC (Mobile Mini Circus for Children, established in 2002) is an international NGO which is grown into a countrywide education program focusing on teaching children to lead. 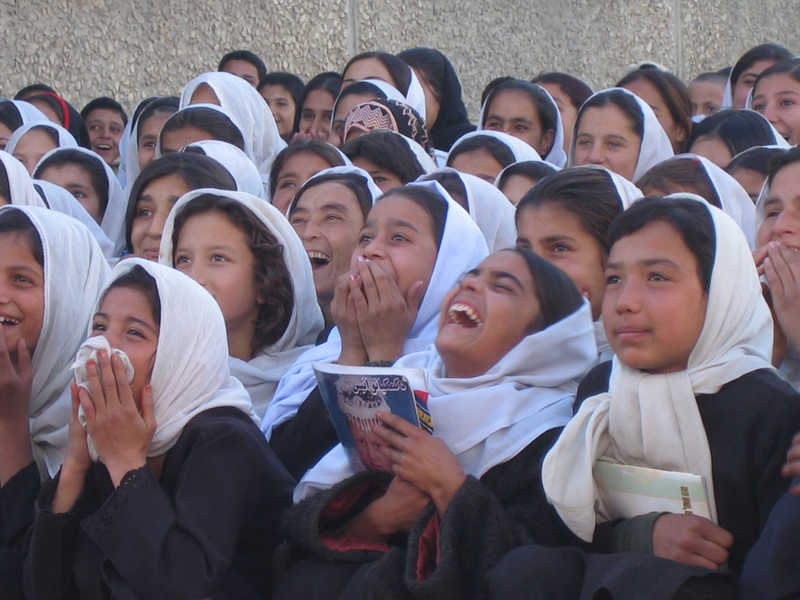 MMCC has performed and made workshops for more than three million children and teachers in 28 provinces all over Afghanistan. It reaches a very large number of children and not only makes them happy and joyful but also bring both educational performances and a hopeful and positive image of the life in a war country. In the educational performances children learn life skills and important messages about Landmine Awareness, Peace Education, Drug Abuse, Conflict Resolution, Malaria Prevention, and Health Education which are incorporated in the shows. The performances at the same time are collective therapy which brings hope and harmony to the war battered country. MMCC conducts different teacher training workshops and has a wide range of social and educational programs such as advocacy for children, children media productions, children assembly (Children Shura and meetings in the Afghan National Parliament), special activities for girls, children cultural activities for schools, IDP camps, orphanages etc. 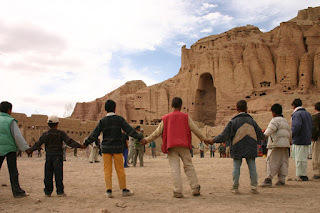 MMCC has sub branches in 5 regions of Afghanistan, and 23 active “Funtainer” centres (Funtainer is a modified container functioning as a Social Circus base). late 2001, I saw my capacities and knowledge both about Afghanistan and children could contribute enormously to this changes.Then I dedicate myself to it, founded MMCC and am so much in love with the work MMCC team has been doing since then. The positive impacts of MMCC works in Afghanistan gives me a great joy and satisfaction and I hope to introduce it and its amazing activities in the countries with similar problems. 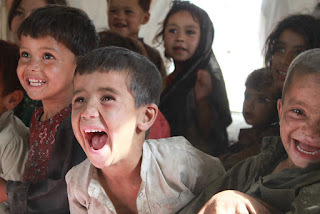 Considering the fact that Afghanistan is the youngest country in the world (42% under 14 years old) and has suffered many years of war, it was quite natural and obvious that children should have the highest priority. It is the children who have suffered the most in the war, and by utilizing physical arts and socializing children to discover their individual and collective resources could contribute enormously to a dynamic joyful and peaceful society. What Challenges have you encountered on the way? Some people assume the conservative communities should be our biggest problem in implementing our activities. Everything we do is in full respect for the local culture and very often even inspired by the local culture and therefore we have relatively a good local support. Our main challenge is convincing the donors and the authorities that fun and cultural activities are much more than just entertainment especially in a country like Afghanistan. Fun is a hard sell but critical for building social capital and safeguarding against the creation of angry, alienated and disillusioned teenagers. Are there any stories or anecdotes you can share? One day our trainers were in a very big school conducting one of our typical week long workshops including singing, acrobatic, painting, theatre and juggling which ends up with a performance of the new established team. The old director of the school was checking the activities and going from one group to the other. Then he heard children practicing an old children song in the workshop, and he became so emotional and got tears in his eyes listening to them. He told me that before the war in his childhood he himself was a member of his school’s choral team, singing the same song (…my homeland’s pomegranate is so sweet …) which was almost forgotten. That day he started to make the same choral team for his school with the children of the workshop accompanied with traditional Afghan music with the instruments purchased for the school…. We always invite the community leaders to the shows to get them involved and very often in the conservative areas they sit with crossed arms and legs showing a kind of resistance. It takes only a few minutes for them to start opening up and enjoy the show. In one of the shows after a few minutes I saw the community leader himself was laughing so laud and enjoying the show even more than children, and then he started asking all the children to applaud and encourage the performers with such an enthusiasm. One day in another workshop we put a 24x2 meters long fabric on a wall for children to paint and enjoy collective painting to be used for decoration later. I heard the teachers were surprised to see the small boy who was always escaping, crying or fighting was now so calm and focused painting for 3 hours. As I approached him, I could hear very deep and laud sighing. His painting was only very simple bodies and messy blocks of red blue and black. As it wasn’t clear at all I had to ask him what he was painting and he said: these are coffins, and these black boxes are empty coffins too and here there is a blue wall and here the red boxes are coffins with blood . . . . He was extremely traumatized. The painting gave him a tool to express himself by his own inner therapist and his sighing was a good sign of progress and success in his healing. We have had over 3 million children participants of our shows and workshops, each one of them have a different positive story of joy, hope, inspiration, and small steps towards a better future. What are your dreams for MMCC? MMCC has accumulated amazing and unique capacities, and developed systems to help the children in Afghanistan in the last 13 years. My dream is to bring this precious capacity to inspire other organizations and serve more children with similar problems in other countries. MMCC team is looking for partners and sponsors to initiate its activities in countries such as Turkey (mainly for Syrian refugee kids), Pakistan etc.